Last week, the beleaguered pop star Kesha filed a countersuit against Dr. Luke, the Svengali-esque music producer who has allegedly held her music and her creativity in a vise grip, alleging that among other things, he owes her money for royalties that he has not yet paid. 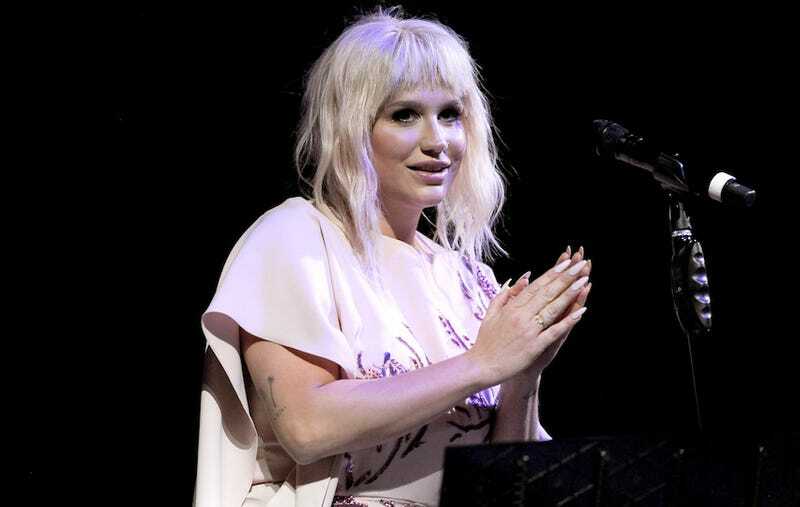 Now Dr. Luke is alleging in new papers filed Monday that Kesha is the one that owes him money, not the other way around. One of the exhibits lodged in court yesterday is Kesha’s amended agreement with Dr. Luke’s Kasz Money. Thus comes word that Kesha has agreed to pay his company 10 percent of her net receipts from the exploitation of her name and likeness. In other words, Dr. Luke gets a cut every time she’s featured on T-shirts or posters, or in video games. Additionally, Kesha pays the company the greater of 10 percent of her net tour receipts or 5 percent of adjusted gross tour receipts. Even though Kesha hasn’t released an actual album of new music in a very long time, she’s performed here and there. I don’t know much about what a pop star like Kesha would command for say, showing up at the Billboard Music Awards earlier this year and performing a song or two, I can’t imagine it would be anywhere near the neighborhood of $1.3 million. Whew, some good news here: after suffering a very horrible ATV accident over the weekend, Jamie Lynn Spears’s daughter Maddie Briann Aldridge has regained consciousness, People reports. Excellent, excellent news all around. Nikki Reed wrote a blog post in the caption of this Instgram post that should effectively shut down any further whispers about whether or not she and Nina Dobrev are feuding. If those two names mean nothing to you, just look at and imagine how long it must’ve taken to type all of this out with your thumbs. I can’t believe I’m saying it, but this is where the Notes app would’ve come in handy! !